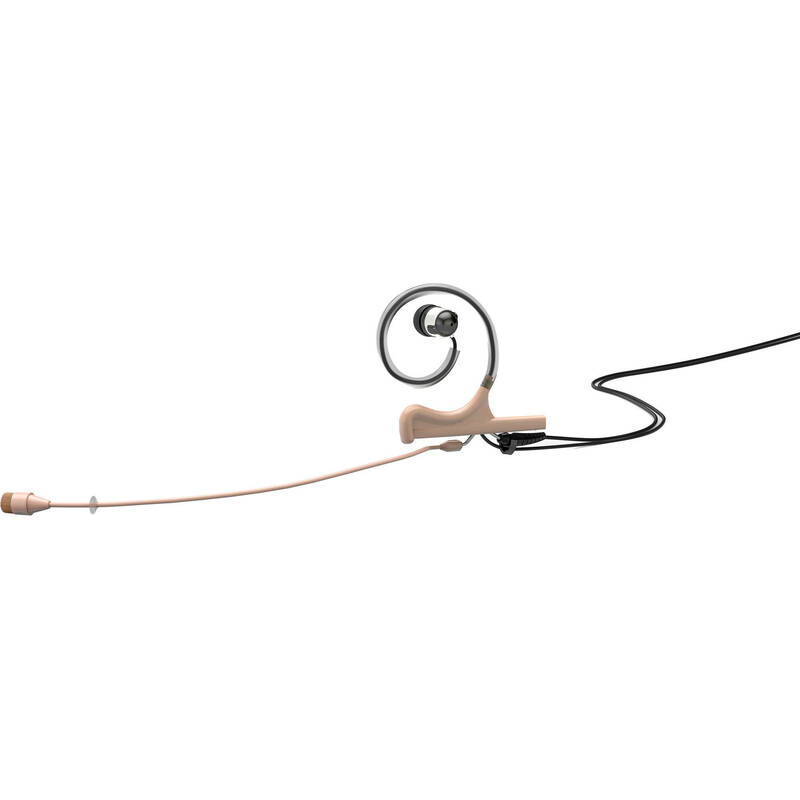 The beige d:fine FIO66 Omni Broadcast Headset, 1-Ear Mount and In-Ear Monitor with Microdot and TA4F Adapter from DPA combines the sound of the 4066-omnidirectional capsule with the lightweight and flexible d:fine headset system, and an in-ear driver. It can be used to capture and monitor audio in several environments for applications such as broadcast TV, radio hosts, sports announcers, producers, theater actors, singers, and more. The omnidirectional microphone features a 20 Hz to 20 kHz frequency response and the in-ear driver is designed to prevent audio leakage to the microphone capsule. The cable steer, located at the headset mount, controls the cable run down the neck, so you can adjust the headset mount size and choose between left and right ear orientations. With low noise and high sensitivity, this headset mic delivers a natural sound. In addition, the in-ear monitor also delivers clear communication. This in-ear broadcast headset microphone features a 3.5mm (1/8") mini-jack connector for the in-ear driver. The microphone cable terminates to a microdot connector with a TA4F adapter for direct connection to a Shure bodypack transmitter. Three foam windscreens are also included.